I recently received an email with this subject line: Reference: VCS-260716DQ and I am concerned that it could be an attempt at defrauding me. Let me know in the comments section what you think, please. 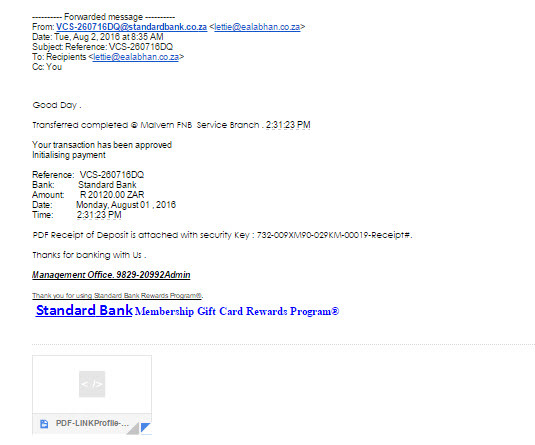 PDF Receipt of Deposit is attached with security Key : 732-009XM90-029KM-00019-Receipt#. Thanks for banking with Us . Thank you for using Standard Bank Rewards Program®.